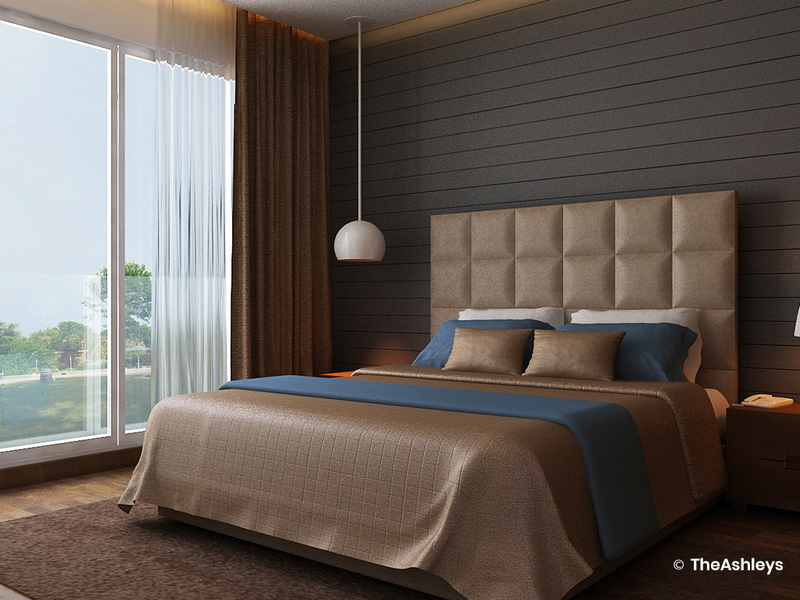 On this corporate hotel interior designing project, the hotel was aimed at the premium business traveller. Right from the entrance, the design vocabulary is aimed to impress without being overwhelming. We planned the reception to be a perfect balance of subtlety and sophistication. 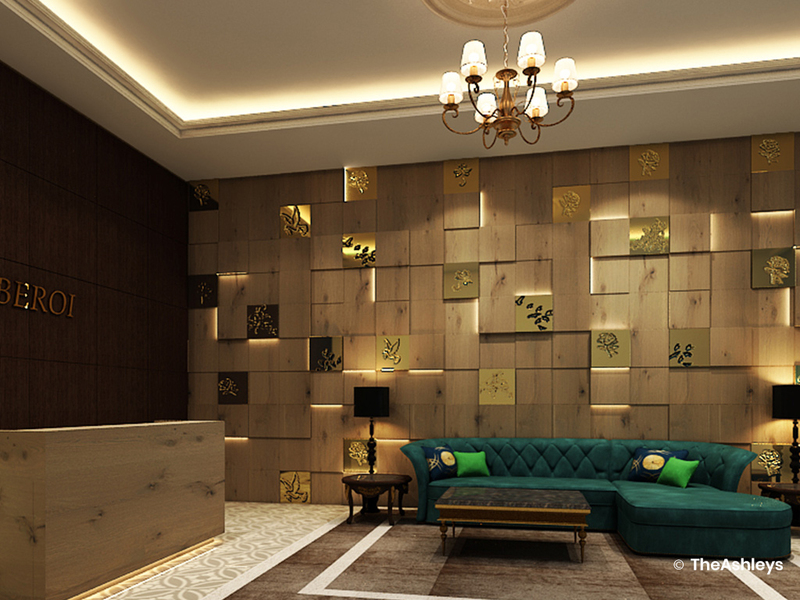 The waiting lounge is done up in rich veneer finishes, gold accents, with a complex wooden grid as a statement wall. 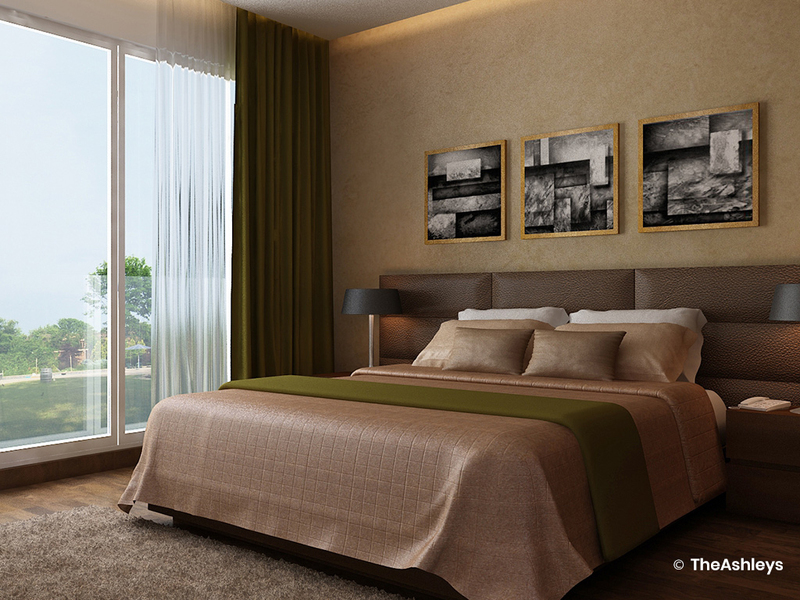 For the rooms, we designed three different styles of décor. However, across the rooms, the material palette brings in a sense of understated luxury. Plush carpets, thick pillows, wool and silk linen, and mellow lighting combine to make each room an oasis in which one may relax in at the end of a long day. Abstract art is used to draw the eye and to add a contemporary appeal to each room.